Taking a little break from my usual diet of promoting my latest game and talking about procedural content, I thought I’d touch on a common trap that occurs in the process of designing games. If I had to give this trap a name, I’d call it the Mary-Sue Trap of Game Design. Basically, over-focusing on the abilities of the player character to the detriment of the rest of the game. It’s surprisingly easy to Mary-Sue yourself during game design. When you start down the path of imagining what sort of abilities you want your protagonist to have, it’s very tempting to start pulling every neat gadget you can think of off the shelf and strapping it on. Where this can really get you into trouble is when you’re looking around for that “certain something” because your game just isn’t quite fun yet. You try adding a beam attack. Air-dashing. A counter system. But nothing quite clicks. You’re thinking about how you want to power-up your avatar as opposed to the whole game. That’s the Mary-Sue Trap of Game Design. So, how do you avoid the trap? With that in mind, I thought I’d offer up a few of my favorite NES-era villains as examples of enemies that are designed to force the player to make interesting choices. The Hammer Bros. from Super Mario Bros.
Infamously one of the most dangerous enemies in the original Super Mario Bros., the Hammer Bros. are a pair of turtles that hurl hammers at Mario in a tight parabolic arc. The unpredictable rate-of-fire of the hammers makes approaching a Hammer Brother a hazardous process. Without a reliable pattern to lean on, the player has to wait for a convenient opening in order to make an approach. When a Hammer Brother first appears, however, there is a small period of time in which the player can make an approach before hammers start filling the screen. The result of this is that the moment a Hammer Brother appears, the player has to make a split-decision. They have to decide whether to immediately make an approach or wait for a later opportunity. Neither of these solutions are always optimal which makes it an interesting decision. They can rush-in and potentially bypass the arc of hammers or they can wait for a safer opportunity but risk being locked-down by constant hammer fire. This bad boy is invulnerable unless its eye is open. A Hammer Joe only opens its eye just before they throw its hammer and closes it again shortly afterwards. This means that most attacks on a Hammer Joe involve a game of chicken between the player and an oncoming projectile. Basically, the player is forced to continuously evaluate the timing of their jump to avoid the projectile while maximizing the number of shots they manage to land during the Hammer Joe’s window of vulnerability. This sort of setup means that player is always tempted to risk taking damage in exchange for doing more damage to their enemy and defeating them faster. Unlike the Hammer Bros., the tension in a Hammer Joe fight comes from the regularity of their attack pattern. The player knows exactly how much time they have in which to attack. The question is how many attacks they can manage within that fixed period of time. Incidentally, Egoraptor has a GREAT video illustrating (among many, many other things) how the player is always given a chance to observe this fixed period in Hammer Joe behavior before having to engage one. I highly recommend checking it out. After finishing reading this post, of course. Now, this is one mean little mother. Death is an enemy that is immune to most of your attacks, moves quickly, and will relentlessly pursue you until it has absorbed 100 life (one quarter’s worth). Whereas the player almost always has the option of blasting their way through other enemies, a single Death can turn the tables and immediately force the player into a defensive stance. Faced with Death, the player has to make a choice: 1) use a potion (a rare item), 2) ignore Death and eat the 100 damage (expensive), or 3) run (possibly away from the goal). In a multiplayer session, letting other players take the brunt of Death’s attack is also an option, but not likely to win you any friends. While not unstoppable, Death’s design allows it to temporarily change the nature of the game which helps keep the game from becoming too repetitive. You may not be able to tell what this guy is by looking at him, but you will learn to hate him once he eats your shield. The Like Like changes up the usual enemy paradigm in Legend of Zelda. 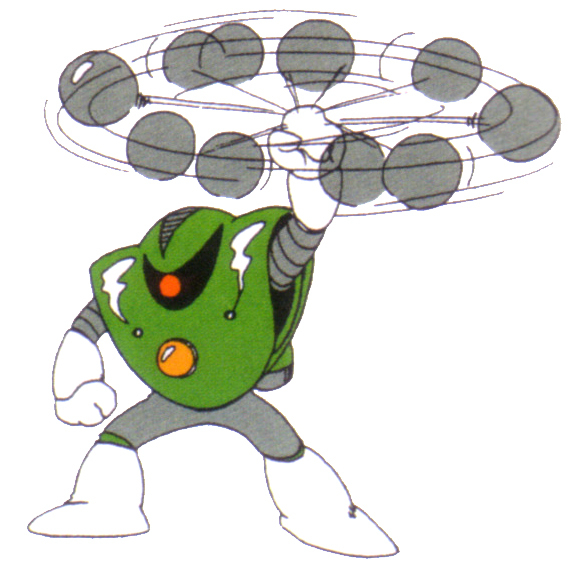 Whereas most enemies just damage the player on contact (which Like Like does as well), this enemy also de-powers the player’s shield, causing them to be unable to block certain types of projectiles until they re-upgrade it. Strangely enough, the actual cost of losing the shield upgrade isn’t actually that high. While the player is unable re-upgrade within the dungeon, it is not that difficult to simply dodge projectiles instead of blocking them. The downgrade in capabilities the player suffers may be small, but the emotional impact of losing the power-up is large. The Like Like is the only enemy that can take away something that the player has already acquired and this betrayal of the normal interaction between hero and enemy is galling. This emotional element is enough to change a player’s behavior around a Like Like. Whereas it may have been acceptable to take a hit from any other enemy, many players will avoid contact with the Like Like at all costs in order to avoid the humiliation of losing their prized Big Shield. So, there you have it. Four of my favorite video game enemies and why they make the games they inhabit more interesting. Hopefully, they’ll help you come up with interesting enemies and obstacles for your own games in the future. 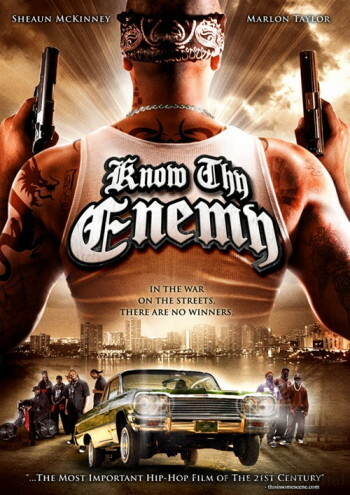 Know thy enemies, for they are what make thy game worth playing.